Teaching for mastery specialists are offered the opportunity to apply to visit China in the Autumn term where they visit schools and observe Chinese maths teachers. A group of Chinese teachers visit England in the spring term and our specialists’ schools host these teachers to give showcase lessons. Teachers in the region are invited to come and observe these lessons. There is a great deal of information about this programme on the NCETM website including descriptions of demonstration lessons. During November 2016, I was privileged to take part in the England – Shanghai exchange. This involved spending two weeks observing lessons, taking part in Teacher Research Groups and ultimately further developing my own understanding around Teaching for Mastery. I was fortunate to observe many lessons and was blown away by the attention to detail in which the concepts are taught; this was a striking feature of all lessons – nothing is assumed, everything is taught explicitly. The teachers incorporate procedural and conceptual variation into their lessons effortlessly and the children showed an impressively deep understanding of the underlying concepts covered. Observing the small steps that are taken in a lesson to develop deep understanding, has enabled them me to reflect on my own practice. I am fortunate, as a mastery specialist teacher, to be in a position to share my experience with colleagues in my own setting and further afield. The most obvious feature of maths teaching in Shanghai Primary Schools was the clearly defined structure across all year groups in all schools. Lessons were 35 minutes in duration, highly intensive, all pupils worked on the same content, the lesson was teacher-led and heavily scaffolded with textbooks. All lessons featured the 5 elements of mastery as (defined by the NCTEM): representation & structure – shown with pictorial representations & real-life problems, variation – showing the same concept in different ways, mathematical thinking – exploring connections, strategies, small steps approach, fluency – a solid foundation in number relationships enabled children to rapidly recall facts, coherence – the whole curriculum is designed with a small steps to approach throughout. The teachers only expected to teach the maths content once, with little revisiting in subsequent years. They were able to do this due to the children’s solid understanding of number, structure and mathematical relationships in the early years of primary school. It was a fantastic experience which has given us so many fond memories – visiting different parts of Shanghai gave us a real insight into the history and culture of the city. The hospitality of our hosts was lovely and made us feel welcome throughout our stay. Pupils and staff met us with warm smiles in every classroom and on every corridor. Caroline Hamilton our previous maths hub lead writes “There is great practice here in the UK but we can also continue learning about how other countries such as China, Japan and Singapore teach maths. I was fortunate to be part of the Shanghai exchange two years ago as part of the Maths Hub initiative. The whole experience was fascinating and it was not what I expected.” Read the full article below. Paul Rowlandson another of our early Hub leads was on the same visit to Shanghai as Caroline and has recently reflected on the visit from his current perspective. Read about Pauls experience here. They have a very clear mathematics learning journey set out.One of the professors at the university we visited used an image of a stair case to describe their mathematics curriculum. They know where they are going and know exactly what students have already learned. 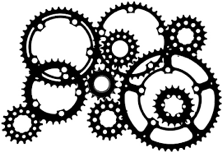 He described our mathematics curriculum using the cogs from inside a clock, all turning different ways at different times and moving from one cog to another then back again. He wonders how teachers in the UK manage this kind of working and questions why we do it. Since the start of the Maths Hub Programme I feel we have already come a long way in addressing this issue. Surprisingly, children can be children! This was my biggest shock during the exchange. What the Chinese seem to have achieved is balance. Lessons were shorter than ours (approx. 35 mins) and during this time the students were impeccably behaved and focussed. The surprising thing was what happened when the bell went to signal the end of the lesson. The students were given a 5 – 10 minute break between each lesson where they could let of steam, talk, shout, run around, sit quietly if they wanted, they were free to be children. Then the bell would go again and immediately the focus was back. Parental support. I got to know our exchange teachers extremely well and what came through from both of them was that they could always rely on parents for support if a student was falling behind. Teacher training. In Shanghai a teacher is thought of as inexperienced until they have been teaching for at least 10 years. They spend a great deal of time refining their practice and learning from experienced ‘master teachers’. Our primary teachers aren’t trained for several years to be maths specialists as they are in Shanghai. This means we need to give them support in terms of time out for Professional Development, like the TRG programme which the maths hubs are running. Lesson study and lesson observations. Large group observations are common place in Asia and are seen as an essential part of developing excellent practice with a clear observation focus. The lesson is taught with other teacher observers and then the study session is facilitated by an “educated other”, usually a professor in education from a higher education institute. Variation theory. The main principle is that students should be exposed to concepts in a variety of ways (conceptual variation) and questions should be designed to make students think and make connections (procedural variation). Questions like this are difficult to design without a high level of subject knowledge.